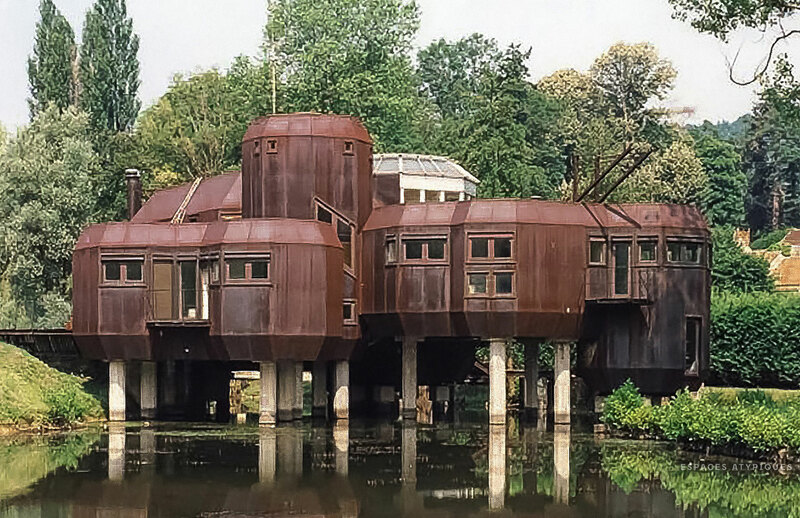 Perched over a pond in the Paris commune of Gif-sur-Yvette, this oxidised steel home is an exercise in the unconventional. 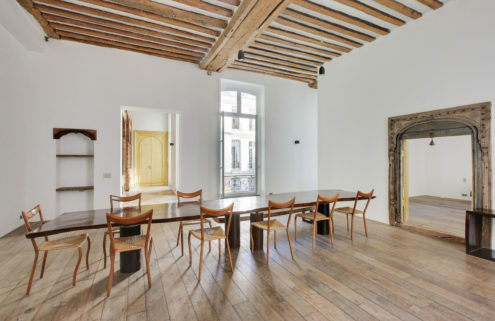 Marc Held designed the building – on the market with Espaces Atypiques for €1.74m – in the mid-1970s, digging out a space in the marshland in which to sink its stilts, and choosing Corten steel that would gradually weather over time. 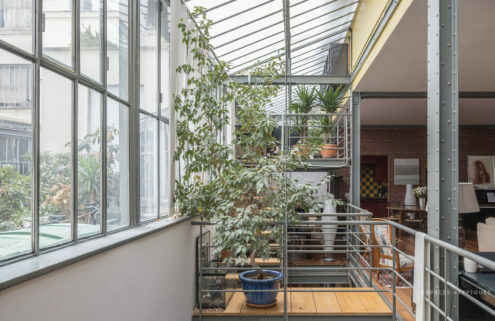 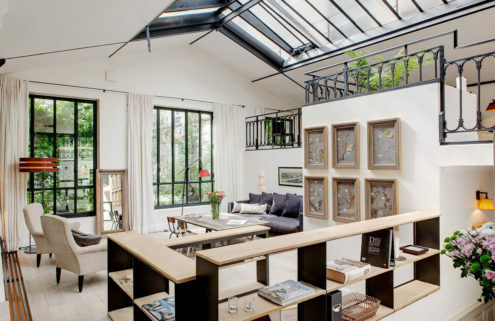 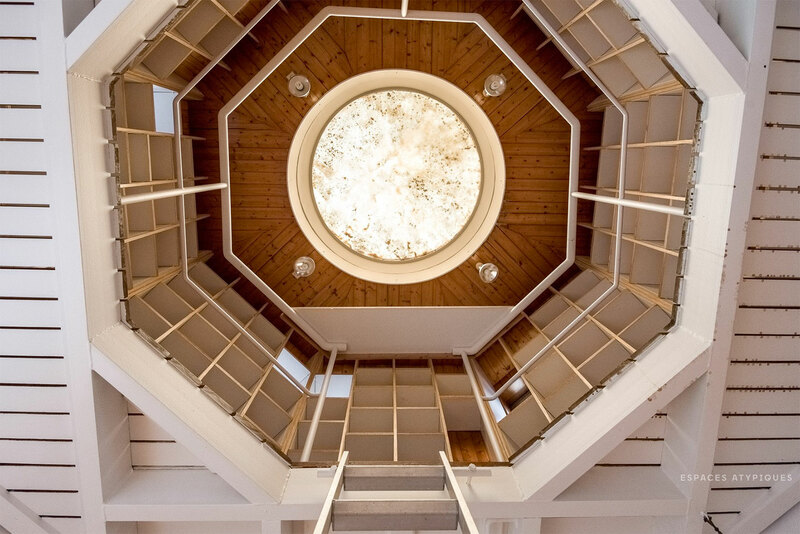 Known as the ‘House of Utopia’, the Paris property has striking internal features, including a 6-metre-high warehouse-style ceiling with metal framework, and a raised library that sits under a domed skylight. 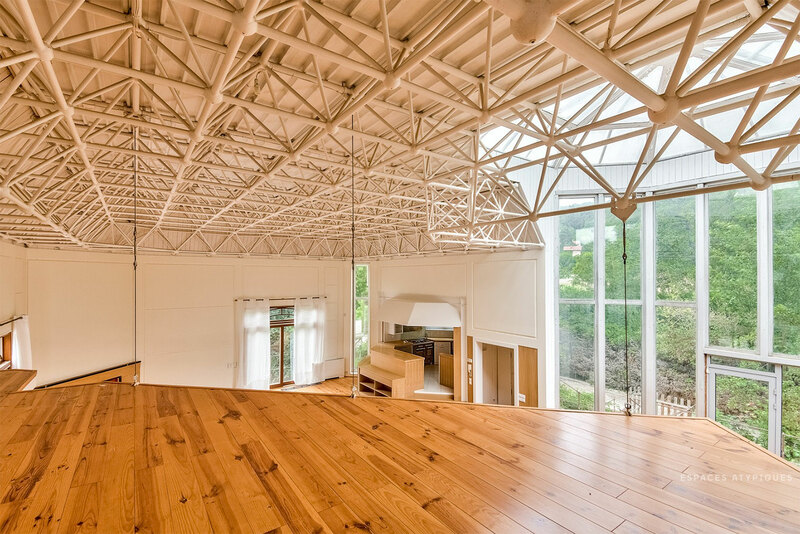 Natural light pours in from a glass-enclosed indoor ‘patio’, which looks onto the surrounding 2 hectares of private land. 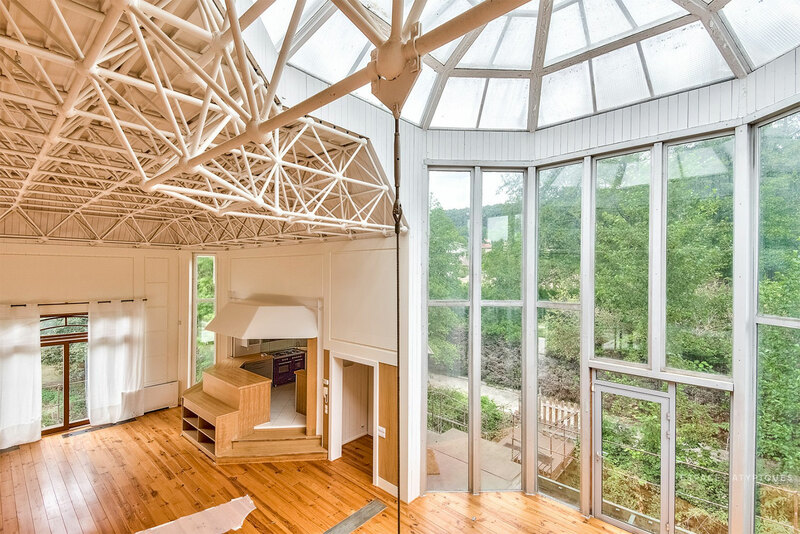 Four bedrooms and two bathrooms are located on a mezzanine level. 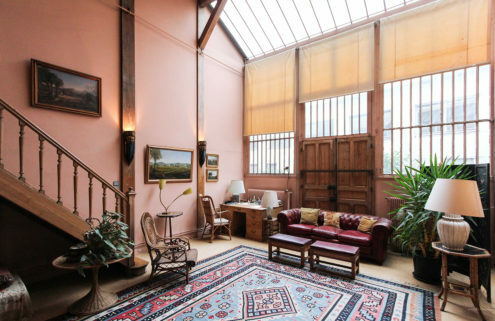 The property is in need of some updating, but a separate caretaker’s home on the grounds will give future owners a space to stay while renovating.